The Chinese market was shaken on Monday, marking the worst two day slide in 10 weeks for China’s stocks. The Shanghai Composite ended being $220 billion dollars “lighter” than Thursday, as the one year anniversary of the big stock market crash of 2015 looms closer. 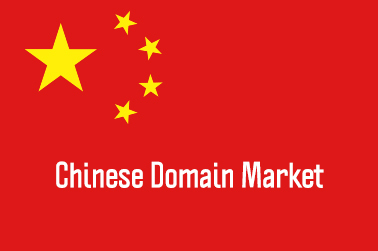 Domain investors in China appear to be saving their yuan for now, as volume of domain sales has dropped. We keep track of .CN and .COM domain sales, of between 2 to 4 characters in length. Some data is provided by BenMi.com, the Chinese domain sales tracker. Check it out. Here is today’s list, not too exciting.